Often the central story in the evening news for the worst of reasons, Afghanistan remains a troubled country ravaged by internal conflict and shaken to its core by political instability. Although few travelers take a trip to Afghanistan for pleasure, this landlocked nation boasts breathtaking extremes of landscape and a rich history spanning over 2,000 years. Powerful empires came and went over the ages, leaving an indelible mark on Afghanistan's culture, arts, and religion. The last few decades have brought mostly chaos, from the invasion of the Soviets in 1979, to the 2001 offensive led jointly by NATO and American forces. Today, Afghanistan remains a battered though undeniably picturesque country slowly figuring out how to reinvent itself as a young democracy. Afghanistan is in Asia. 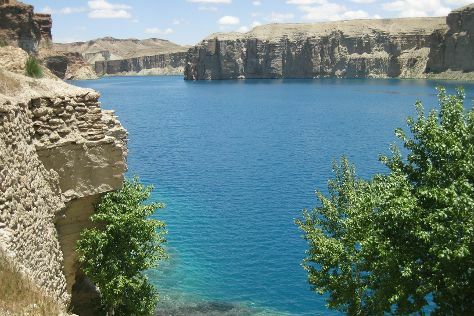 Use our Afghanistan trip planner to arrange your visit to Afghanistan and any other destinations in Afghanistan that take your fancy.